After seeing a Renault Alpine for the first time in >20 years at a local Cars and Coffee event, we became intrigued by the history of this unique car and of Alpine as a manufacturer. And then we found two more Alpines on a visit to the Lane Motor Museum in Nashville, Tennessee USA. As we’ve said before, this museum has our vote for the best car museum in North America, and it’s certainly the most approachable museum. You’ll note in the pictures we’ve taken here and here that none of the cars are blocked off or otherwise separated from visitors. While you don’t want to touch them, you can look all around them, examine details, look underneath, etc. The museum has well over 330 cars, but with room to display only about 100 of them at any given moment. So we were very fortunate to have found both of their modern Renault Alpines on display for this visit (they also have a couple of older members of the A108 era which are awaiting restoration). Note that the museum also has two Renault Dauphines, a Renault 5 Turbo 2, and several other Renaults. 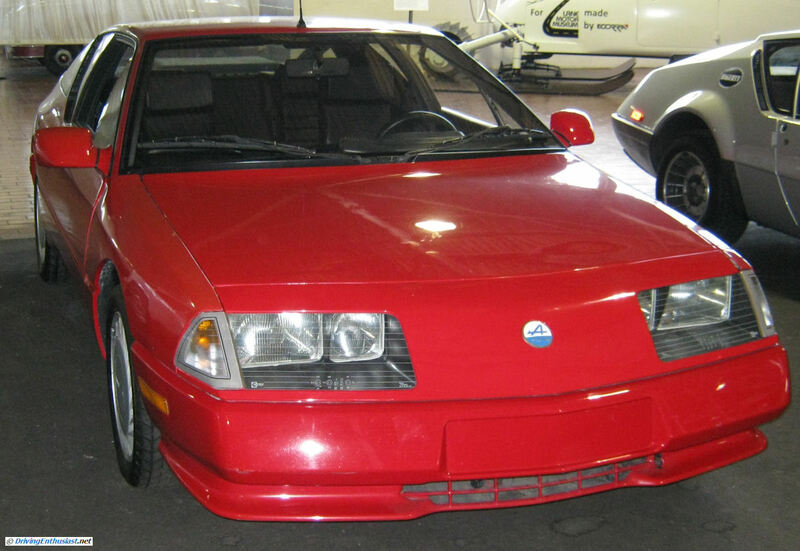 This bright red 1986 Renault Alpine GTA Turbo is powered by a 2.5 liter (2458 cc) ~200 HP V-6 engine. It’s one of only 21 Alpines said to be in the United States, out of approximately 8000 Alpines produced by Renault in the years 1971 to 1992. The GTAs loudly proclaim their powerplant, which is typical for the 80s. But also justified because of the collaboration between Alpine and Renault. Their turbocharged Formula 1 engines smashed several records. The dark red Alpine we examined at the Cars and Coffee event had non-standard wheels and tires. 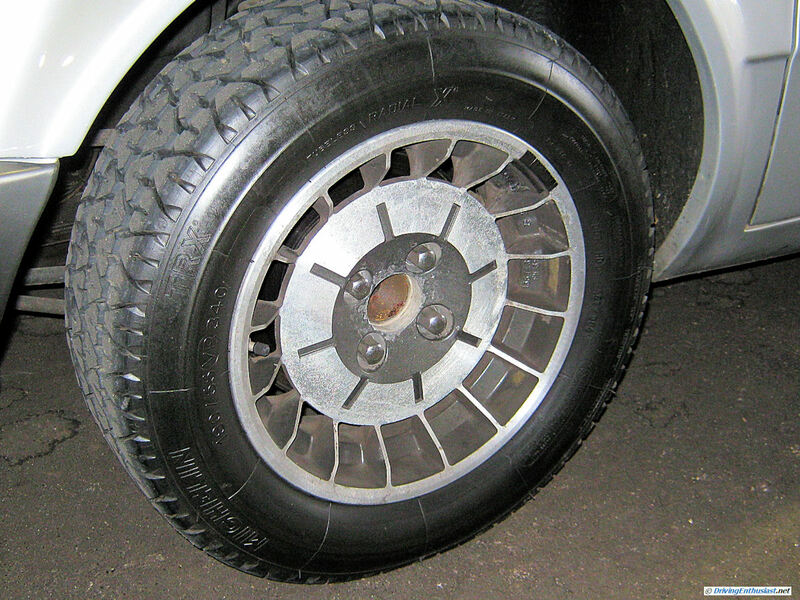 These are the correct wheels, although the tires are modern radials. 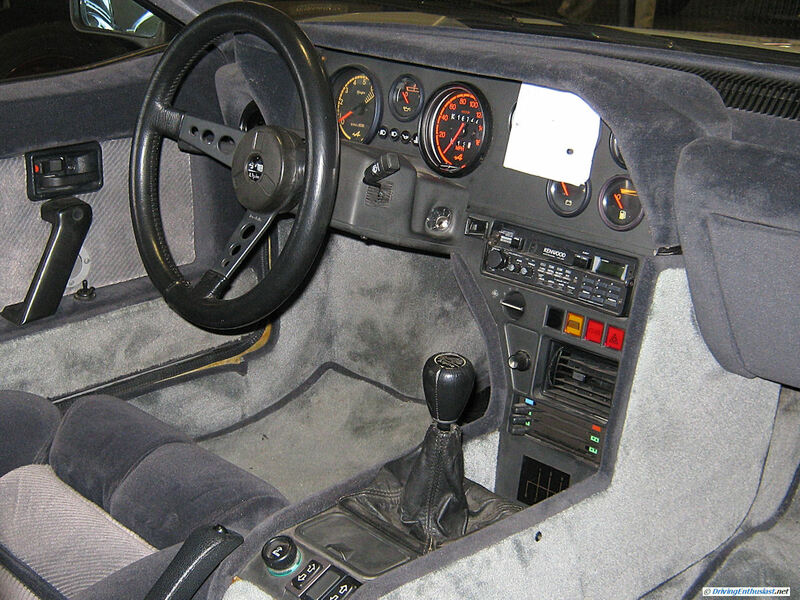 The interior is well laid-out in a modular fashion. Note the floor-hinged pedals below. Being a GT-type car, the seat bolsters are generous (especially in the hip area) but not confining. We notice details like that as we walk past the cars in the Lane Motor Museum and dream of driving some like them one day. 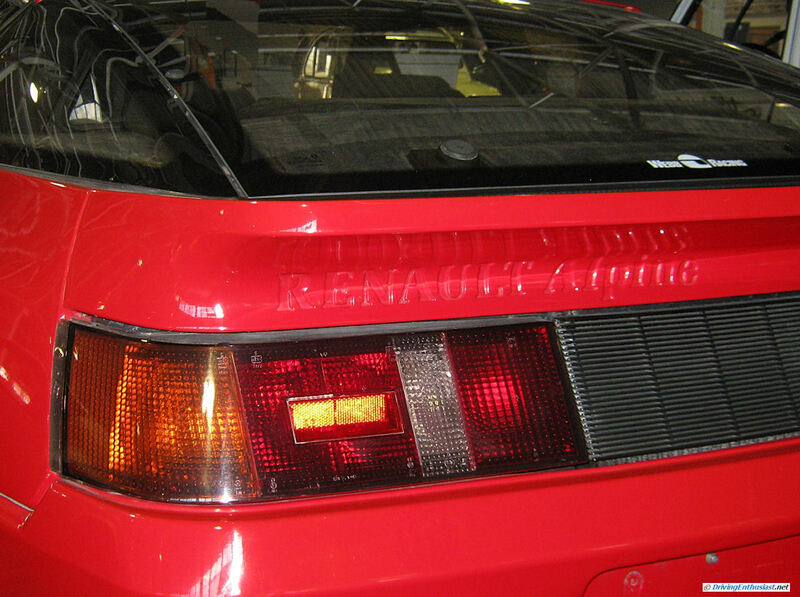 We really like the rear design, with wrap around taillights and especially the integrated spoiler (like the original Lotus Esprit). The lettering is molded right into the hatch. Parked next to the red Alpine is an earlier model 1985 Renault Alpine 310. 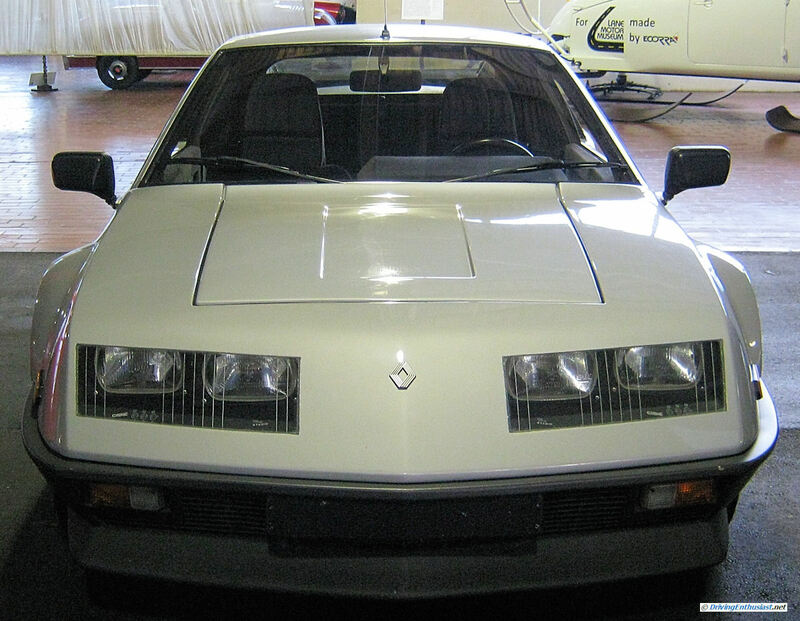 We were very lucky to see this car at the Lane Motor Museum – we had never seen this generation Alpine in person. 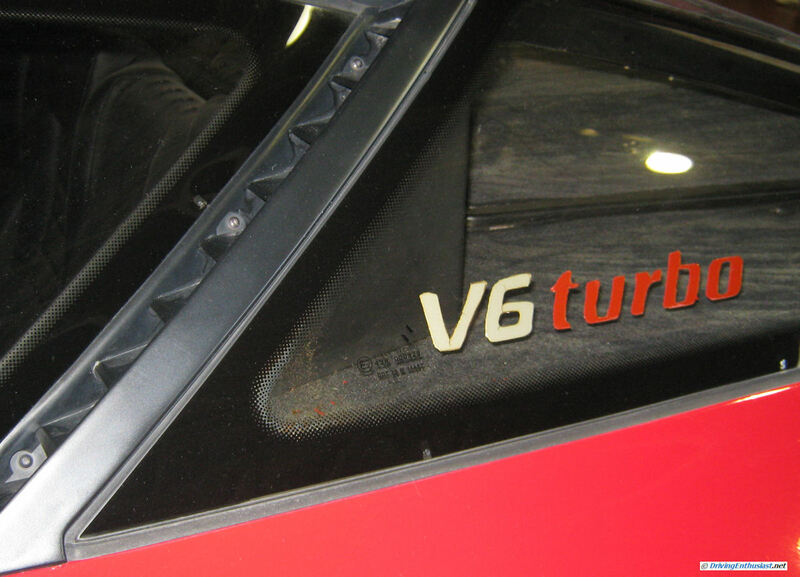 It’s also powered by a V-6 – in this case a naturally aspirated 2.7 liter 2664cc) V-6. 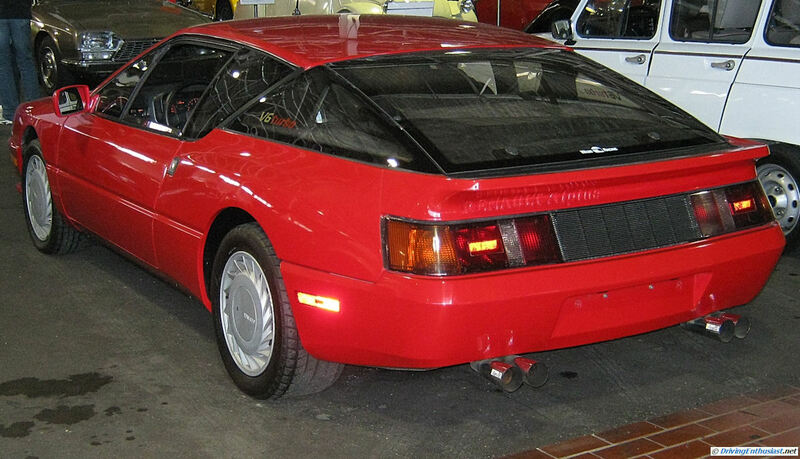 This Alpine uses a mid-engine layout, with a monocoque and a fiberglass body. Weight is approximately 1800 pounds. It was built by hand in Dieppe, France and sold thru Renault dealers. The styling of the front end is related to the red car. 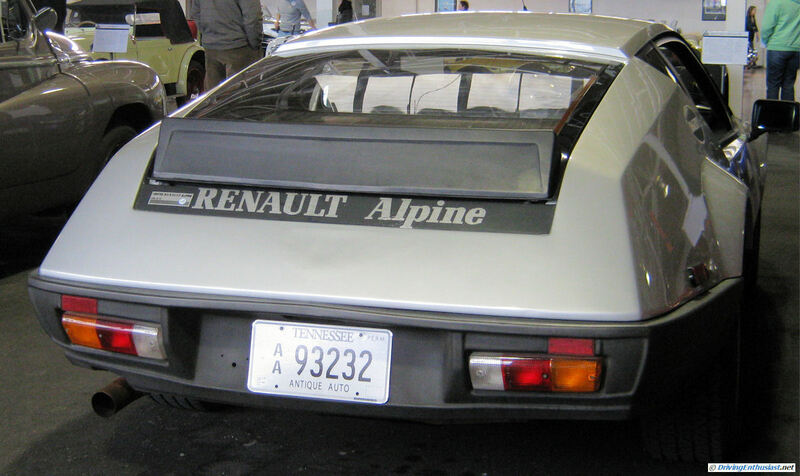 Note the Renault badge is used here instead of an Alpine badge. The side profile will remind some of the later Pantera, and offers a light open cockpit with excellent forward and side visibility. The rear design is a bit puzzling… perhaps remind viewers of the Lotus Europa. The purpose of the high sides and scoops immediately following the rear side windows is to get cooling air into the engine radiators and coolers. Integration of the fenders with the roof is… odd. We were surprised to find the Alpine was originally equipped with Michelin TRX (“Tension Reparte X”) tires, with their special 390MM wheels. Very few cars used these in production: the Mustang GT and some BMW 3, 5, 6, and 7 series amongst them. 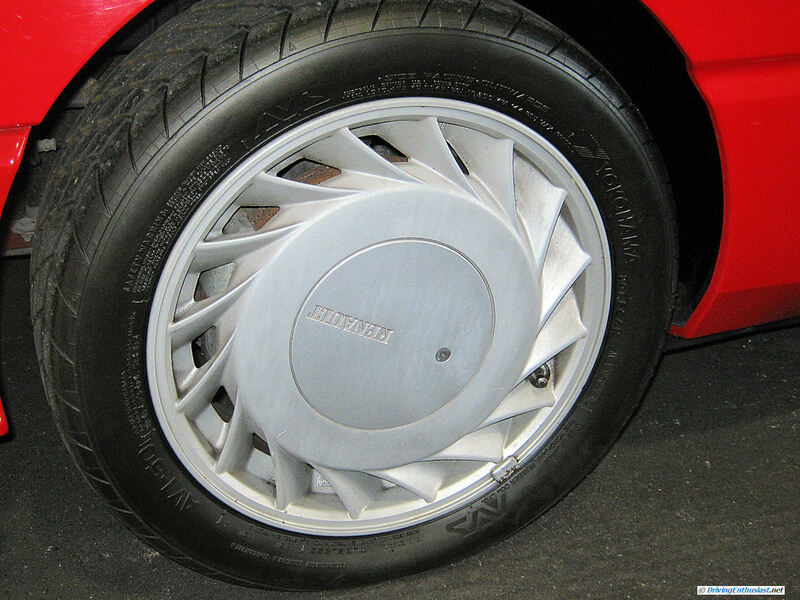 If the tire and unique rim design was indeed a better idea by Michelin, it was a poor idea for enthusiasts as replacement tires of this type were only produced by Michelin and Avon. 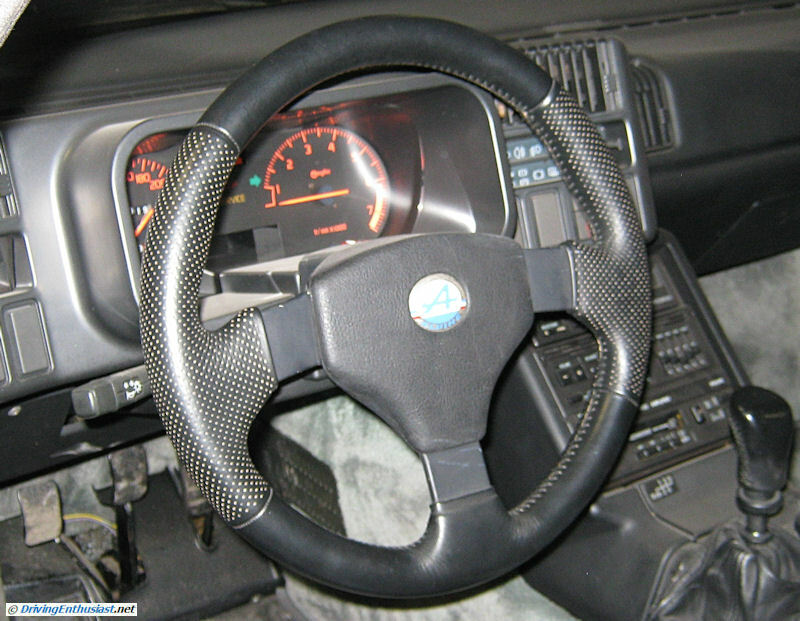 The interior is a straightforward driver-centric design with a thick steering wheel and well-placed shifter. 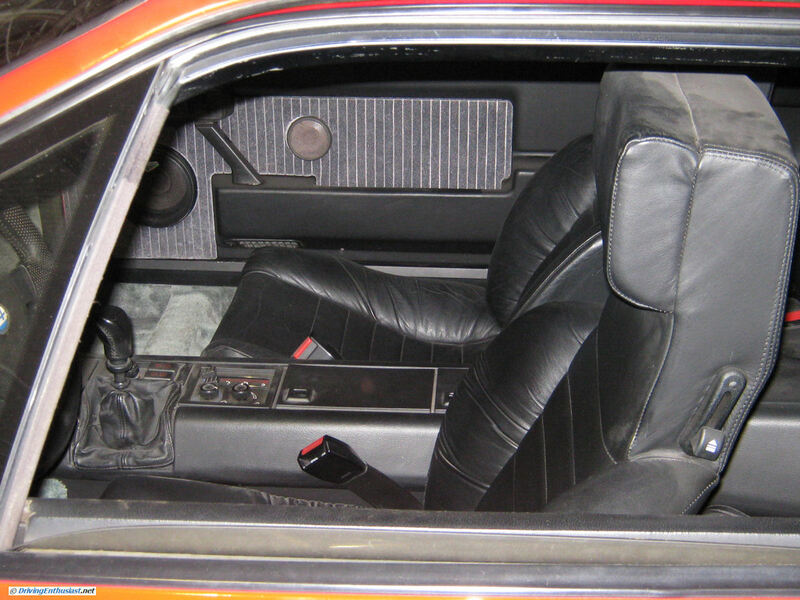 Being designed as a 2+2 GT, creature comforts abound including cloth door panels and dash covers and a stereo system. Très sophistiqué! We’re going to keep our eyes open for further examples of the Renault Alpine. 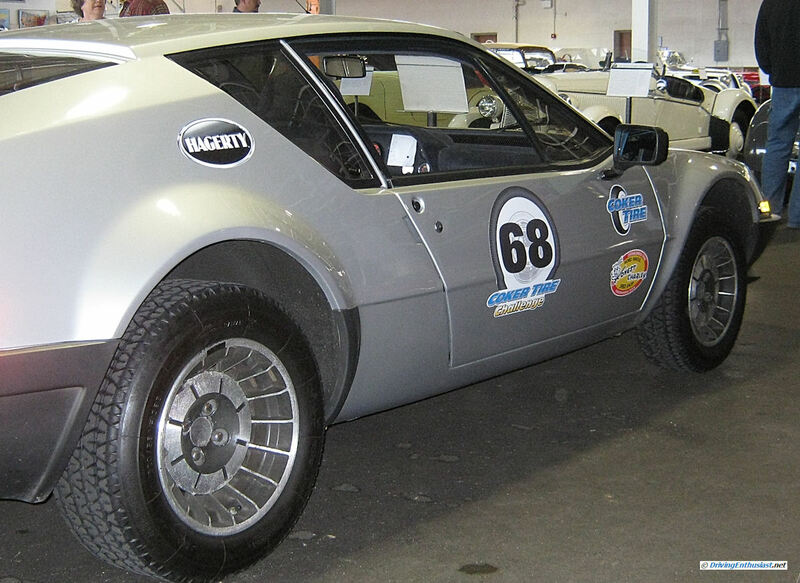 There are more models to be seen, such as the earlier A1xx series from the 1970s and perhaps even a rally car. Perhaps somebody has catalogued the 20+ cars (and their location) that are said to be in the United States…?